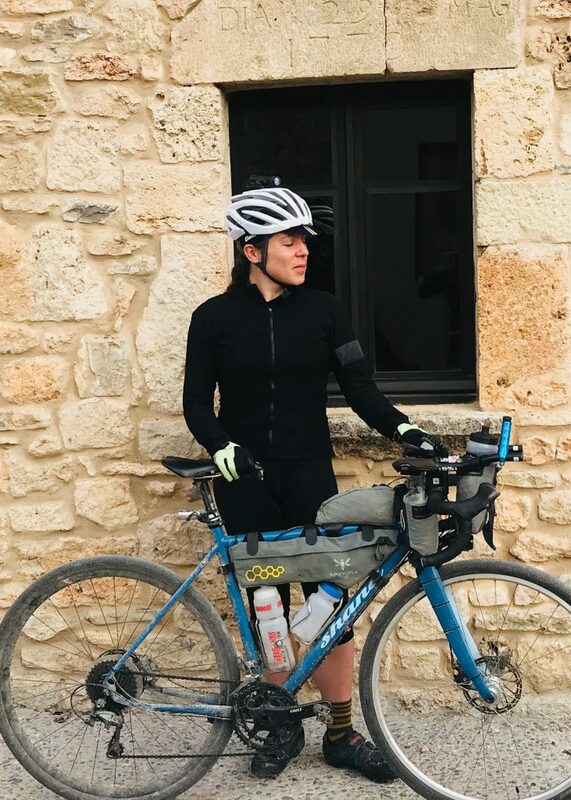 There aren’t that many women out there who dare to dream of riding 2750 miles over the accumulated height of five Mount Everest’s… unsupported, or being the fastest woman in history to circumnavigate the world by bike, or winning the Trans Continental Race. Never mind actually daring to achieve all of the above. So what happens when six of them decide to team up–to achieve even more than collective palamarés? Meet Lee Craigie, Rickie Cotter, Jenny Graham, Jenny Tough, Emily Chappel and Paula Regener aka. ‘The Adventure Syndicate’. On a superficial level you’d be forgiven for thinking that this is just another group of slightly crazy and super-human, female endurance athletes. But the Adventure Syndicate are way more than that. They are women on a mission: to inspire and spread a message of empowerment to other women, both young and not-so-young: “a collective of high-profile women who do extraordinary things by bike and who aim to inspire, encourage and enable others to push their perceived limitations.” The 30 women who travelled to Girona from all over Europe for their adventure cycling camp in January will testify to this. Here we introduce them to you and how each one of them uses komoot. Lee’s background in sports: Outdoor instructor for years before began bike racing. Former British Mountain Bike Champion and member of Team GB at World Championships. 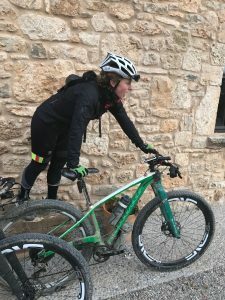 The big challenge in 2018: Finding some balance between racing and exploring by bike! Silk Road Mountain Race in Kyrgyzstan this August will be preceded by a lengthy acclimatization I reckon! What Lee likes most about komoot: I like to ride in unfamiliar places and get a bit lost, but having Komoot at my fingertips helps me not only navigate back on route but it’s worldwide detailed mapping means I’ve found tonnes of hidden single track and remote gravel roads in the process. Lee’s komoot hack: If you’re worried about battery drain when using your phone to navigate on a long ride, switch to aeroplane mode and it’s still records. Jenny T’s background in sports: I ran my first marathon at the age of 21, and bought my first bike shortly after that. Since then, my passion for endurance challenges and adventure travel has grown, and I’ve completed running, cycling, paddling, sailing, and trekking challenges all over the globe. Main challenge for 2018: Racing the Trans-Atlantic Way Race and the Silk Road Mountain Race. Completing an everesting ride in the Alps. 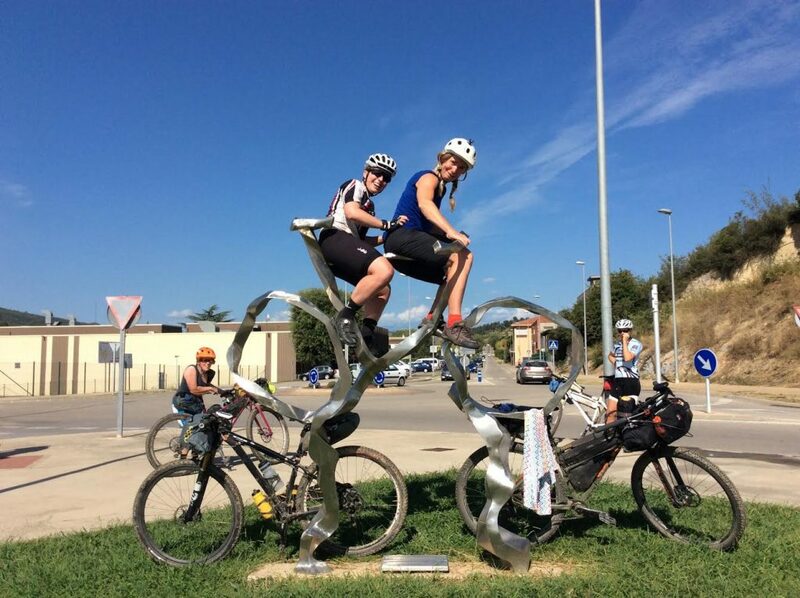 Jenny T’s favorite komoot adventure to date: One of the best days out I’ve had on my bike, and all because someone had left a Highlight there so I chose that route to Malaga on my trans-espana ride. It was brutally hard, and five punctures and an endless need to stop and take photos contributed to the slow pace I recorded! 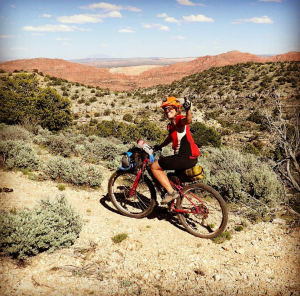 What Jenny T loves most about komoot: Discovering new places to ride or run, especially off-road sections where you can’t really get an idea of the terrain from traditional maps. The Highlights also give you an excuse to run or ride a little further sometimes to see what the fuss is about. Jenny T’s komoot hack: When planning a route, ‘waytypes’ let you see what kind of trails, roads and paths you’ll be using, so you can optimise your route to best suit what kind of riding you’d like to do – or to suit your bike! This is really useful if you don’t like being surprised with a bumpy trail on your road bike or a busy road to run on. Rickie’s background in sports: I’ve always preferred to be outdoors more than indoors… but I didn’t start cycling until I was in my 20’s. I guess I took to it like a duck to water ’cause within a couple of years I’d won the British 24 hour mtb champs and set a record for the the Highland 550 (a long distance route through the Scottish Highland more on Total Women’s Cycling here). I also ran about a lot as a kid and I actually almost drowned a few times during ‘ambitious’ (read: totally ridiculous) swims. So I think I’ve always been pretty adventurous and the combination of loving to be outside, exploring and being up for a challenge just led me to where I am today. 2. make sure I scare myself a few times! What Rickie loves most about komoot: I’m pretty new to komoot so I look forward to seeing where it brings us on our Southbound journey in April. Rickie’s komoot hack: When you use the ‘Open Cycle map’ overlay when planning on komoot, you can see all the official Sustrans routes in the UK, I’ve been using komoot to link up those routes and its super quick and easy to create some wild adventures! Its mostly about having fun! Meet Jenny Graham: I Wonder how Far I can actually Go? Jenny’s background in sports: I was a late starter to the world of sports. As a kid, I always thought I fell in to the ‘unsporty’ category – I now know I just hadn’t found my thing! After having my son I was looking for a change of direction and came across an outdoor sports course at my local college, it was there my world was opened up and my journey begun. I’ve raced some bikepacking routes including the Arizona Trail 750, Highland Trail 550, the Cairngorm Loop and the Yorkshire dales 300. 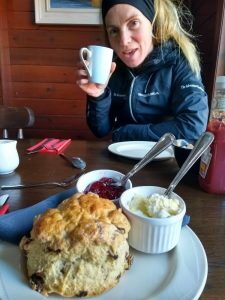 I recently completed a winter LEJOG in four days. 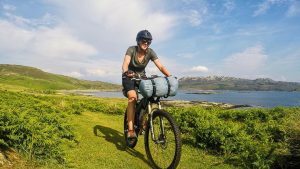 But I also enjoy touring at a more leisurely pace – I’ve mountain-biked across the Alps (Haute Route), the Pyrenees and Romania as well as countless weekends away with friends in Scotland. Main Challenge for 2018: This June I’m setting of on a record breaking Round- the-world cycle attempt. 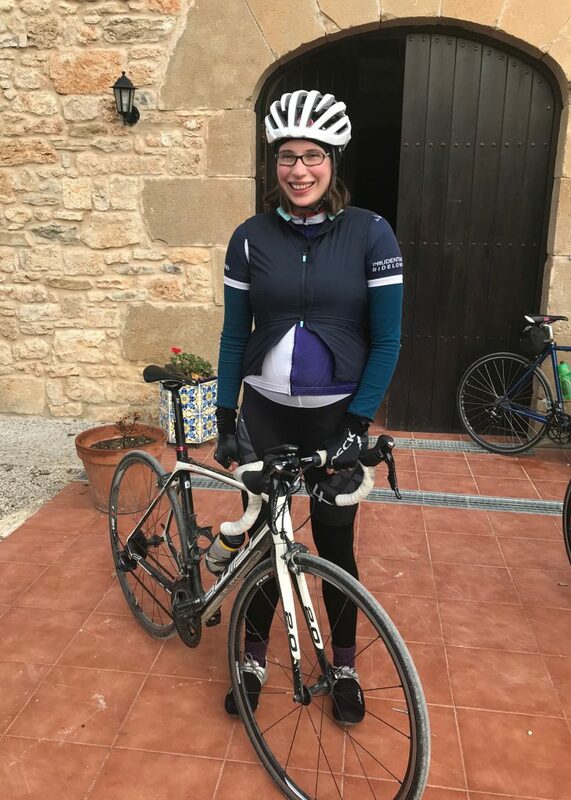 I’ll be setting off from Berlin on the 16th of June, hoping to complete the ride in 110days which would shave a whole month off the current female record. I’ll be riding this un-supported which is going to push me to my absolute physical and mental limits… I can’t wait! What Jenny loves most about komoot: I love the Highlights function. It’s great to see what other people have enjoyed and it makes me stop to take more pictures than I normally would. 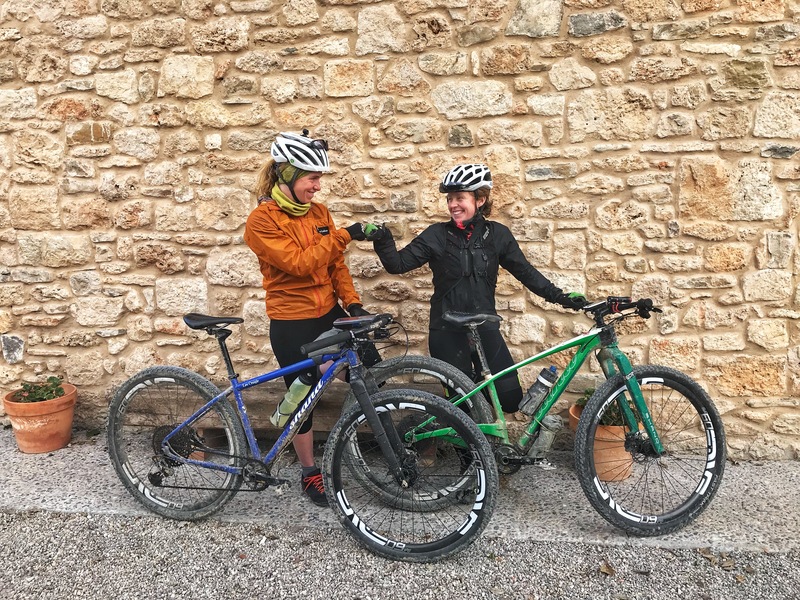 Emily Chappel, (Transcontinental winner 2016 read more here) and Paula Regener (Trans Atlantic Way 1st place 2016) are both taking sabbaticals from competitive challenges this year and focusing on personal ones. Emily is writing her third book and Paula is having a ‘wee little one’. But they are still working in the background to support the other members of the Adventure Syndicate. Follow The Adventure Syndicate on Komoot read more about their projects here http://theadventuresyndicate.com/blog/ or listen to the below interview – and stay tuned for our next blog post about their current project: SOUTHBOUND. What do Jurassic coastlines, megalithic monuments, pubs and bike trails have in common? Great to hear! Go do it! Where/when was the picture of Lee on top of the page taken? The Great Divide?